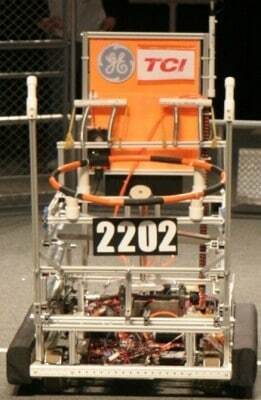 Below are the descriptions and pictures of the 2202 robots, starting from our rookie year in 2007. Our focus this year was game piece handling. This means being efficient with placing cubes on both the switch and the scale. Miyamoto was designed to be able to climb during the end game. The intake had squishy wheels, which allowed us to take in cubes from any angle of approach. Our climber used a carabiner and ratchet, which worked very well. The programming team put together a very impressive auto system, that resulted in near perfect auto completion rate. The system runs off of an XML file that helps us to reduce errors, quickly make changes, and easily select paths. 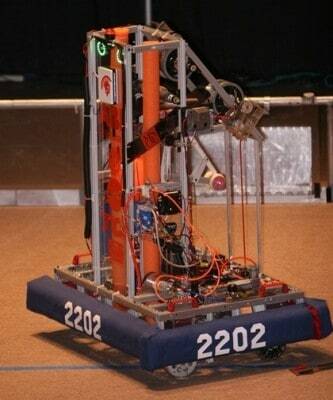 Finally, we had many pre-programmed functions on our robot such as auto climb,lift set, and anti-tip positions. We were awarded the Innovation in Control award in the Archimedes field for Championships due to our Anti-Tip function! The steam works competition was a particularly demanding one. It required a robot that could place gears as well as shoot balls into a boiler. As usual, it revolved around cooperation. The game pieces included, for the first time, a human populated area on the field, where robots could give them gears that players would turn in order to “Take- off” their plane. The Stronghold competition was a particularly demanding one. It required a robot that could traverse obstacles as well as shoot balls through high and low goals. As usual, it revolved around cooperation. The game pieces included the various obstacles as well as dodgeball-sized foam balls. The robots scored points by scoring goals and by traversing the aforementioned obstacles. 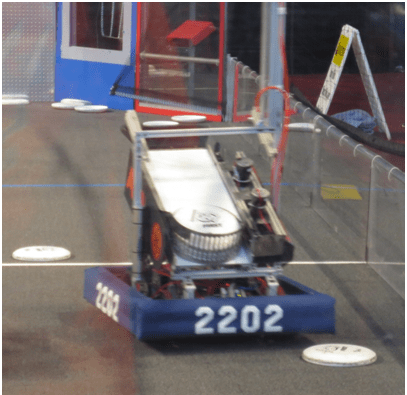 Our robot’s main focus was to score goals quickly and accurately while still being able to cross the majority of the goals – even if we couldn’t cross the more challenging ones. In order to gain some more obstacle clearance, we fitted the robot with large pneumatic wheels. As far as the shooter goes, we went with a spinning wheel system – like a football passing machine – with a clever new vision system that tracked the target and aimed the robot autonomously. In addition, 2016 was the first year in which we used a custom-fabricated chassis rather than a kit. 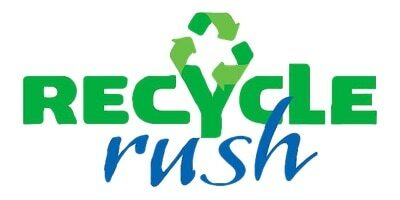 Recycle Rush required a robot that scored as many points by stacking totes and placing bins on top of the totes. It was a cooperative competition based off average points scored over multiple matches. The game pieces included grey totes, green garbage bins, and pool noodles or “litter.” Coopertition points were earned by stacking yellow totes on the step. At the Wisconsin Regional we were semi finalists on the 2nd place alliance. We went with a forklift design and Mecanum drive. 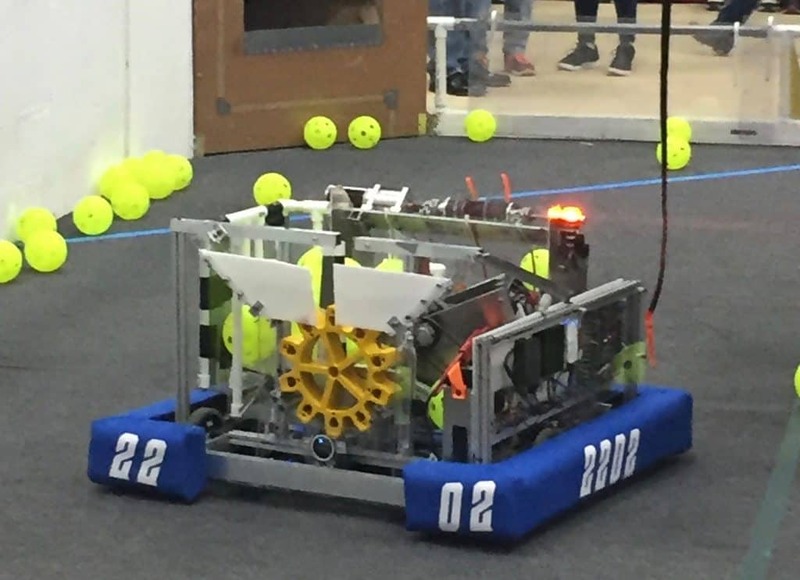 By switching our drive style it allowed our robot to strafe and go diagonally to improve its range of motion. Our robot’s arms were 3D designed by a student which is a start of students using 3D CAD programs. FIRST also implemented a new robot controller called the roboRIO. It is much lighter and faster which allows us to add more cool stuff to our robot. 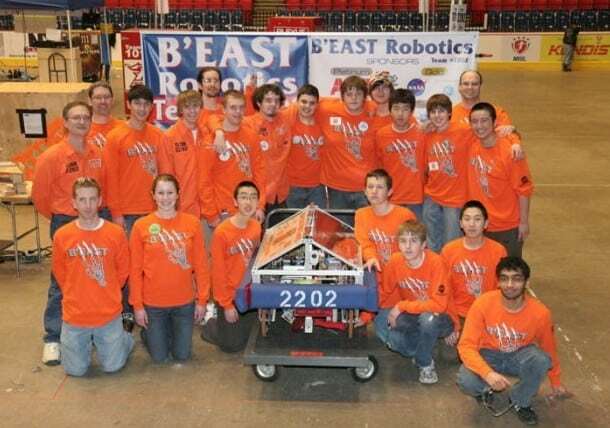 2014 was a very successful year for BEAST robotics. This success which stemmed from the robust build and industrial design of the robot. Given the physical nature of the game, our design centered around creating a robot that could withstand the punishment from lots of contact with other robots. The game demanded a versatile robot that could receive, pass, and shoot the ball in a variety ways, dependent on the situation. To solve this, we designed a loading arm that could open to pick the ball up from the ground, and a large basin to catch the ball that tightly secured it when closed. This allowed us to easily output the ball for a pass or to put into the low goal. The large size of the game piece meant that the shooting arm had to be quite powerful to launch the ball over the truss or through the high goal. Four CIM motors peaking at over 100 amps allowed us to perform this task. We programmed two different shooting patterns, allowing us to accurately shoot the high goal or throw the ball over the truss. This was also the first year that we used a 2 speed gearbox. This allowed us to quickly cover the length of the course in high gear and then shift to the low gear if we needed to push another robot or precisely place our robot. We hope that this design will lead the way for more successful robots in years to come. 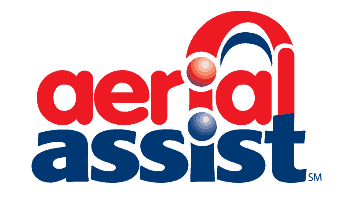 The 2013 season challenge was Ultimate Ascent. The objective of the game was to shoot Frisbees through multiple goals for varying points. There were three levels of goals; one high goal, one middle goal, and one low goal, each worth 3, 2, and 1 point respectively. 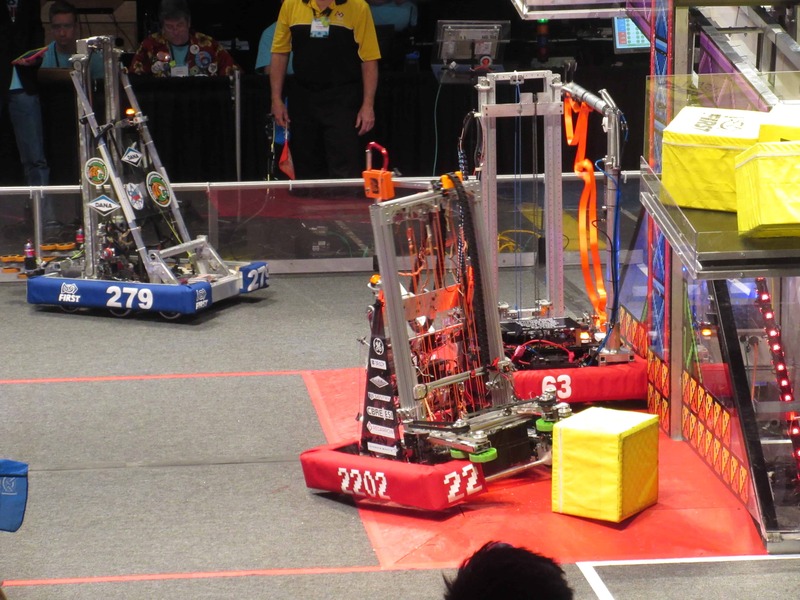 The end game bonus was to climb a 90 in, three tiered metal pyramid, with varying points for the height that the robot reaches. 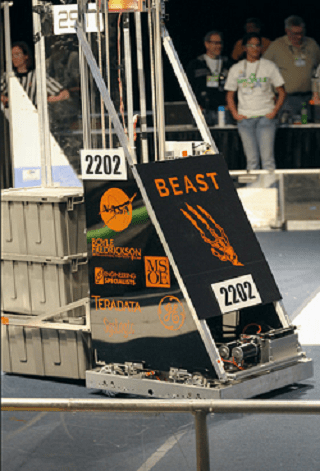 To launch Frisbees, we built a shooter made of two motors and pneumatic tires to get the Frisbees across the field of play and into their designated goal. To climb the pyramid, we used a design similar to a hook, so we could drive up to the pyramid at a decent speed, and simply hang. 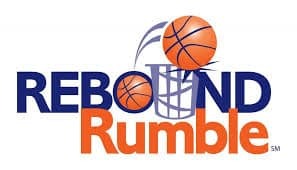 The 2012 season game was Rebound Rumble. The objective of the game was to score points by having your robot shoot baskets. There were four baskets shaped in a diamond. There was a bottom level basket, two middle level baskets, and a top level basket, worth one, two and three points respectively. The endgame bonus was to balance on one of the three bridges that lined the middle of the field. 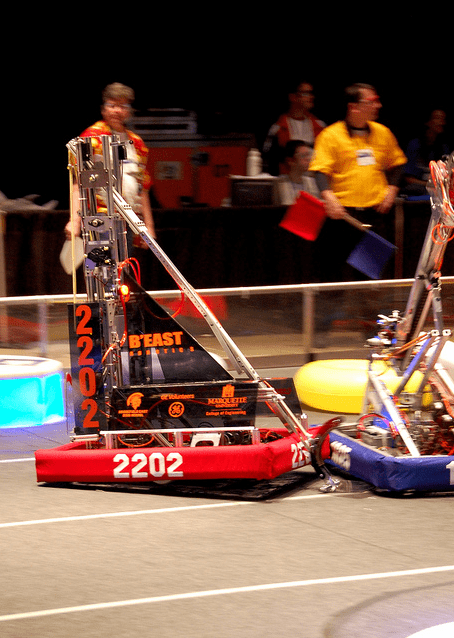 The bridges were able to support up to three robots. To shoot the basket, we decided to have a conveyor belt bring our balls to the shooter: two motors that fire the ball and can run at different speeds. To cross and balance the bridge, we used a pneumatic system to deploy an arm that would push the bridge down. From the season, we learned the value of having a prototype model for the programming. We also learned that it is great for a robot to have a lower center of gravity for this particular challenge. The 2011 season game was Logomotion. The objective was to hang colored inner tubes onto a rack. The rack had 9 spots and if a team managed to get 3 tubes forming the FIRST Logo in a row, the score for those tubes would be doubled. As an endgame challege, the robots would deploy minibots onto poles, which would climb to the top. To lift the tubes, our team decided to use an arm that could pick up tubes from the ground and reach the top row. A few prototypes were constructed, and we eventually settled on an arm with only a shoulder joint with a pneumatic gripper and a spatula-like platform to scoop up tubes. A separate team worked on a minibot with magnets and a concave wheels, while another debated over how the minibot would be deployed and oriented. The deployment proposals included worm gears, belts, and slingshots, but we eventually settled on a pneumatic deployment system. After ditching the idea to use a wedged piece to orient the minibot, a curved piece of plastic conforming to the base of the tower was added to the robot. At the competitions, the robot performed very well, doing everything we intended it to, especially the arm. Because of the arm’s simultaneous simplicity and effectiveness, our team recieved the Industrial Design Award. Our robot is an example of what the engineering process, as well as hard work, can accomplish. It looks like our team will continue to outperform ourselves well into the future. 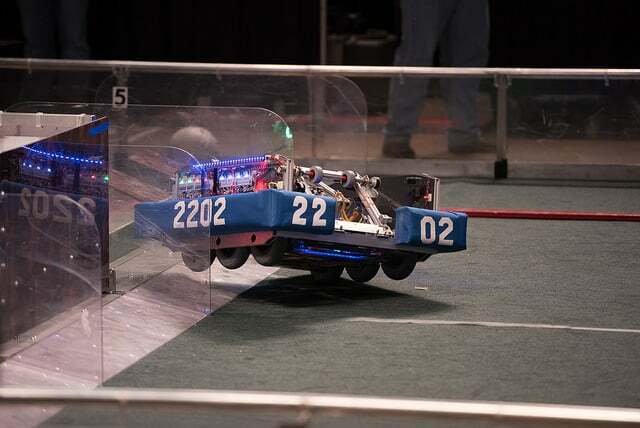 The 2010 robotics challenge was Breakaway, where the robots would launch soccer balls into goals at the end of the field. 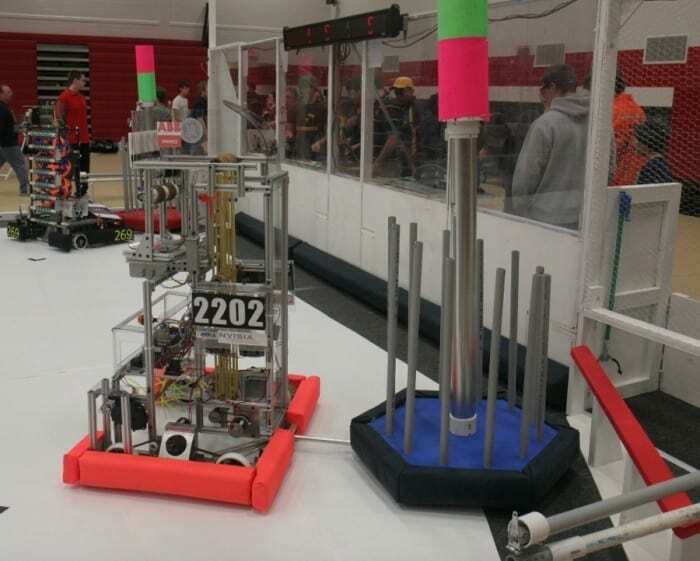 There was also an endgame challenge of elevating the robot, suspending it from poles to score extra points. 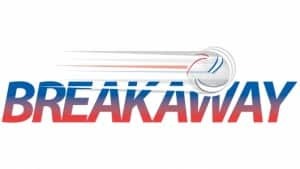 After an extensive risk analysis, our team decided not to create a suspendable robot and to focus our limited time and energy on the main objective. A breakthrough on the ball kicker came when an ingenious crank-operated kicker was introduced. A wheel would draw back the kicker, and a bolt threaded through the wheel would hold it in place. When the wheel moved again, the rod holding the kicker would slip past the bolt and release the kicker. In addition to the kicker, we also repurposed a vacuum impeller and painstakingly connected it to a suction cup near the kicker, which effectively held the ball in place. Combined with excellent programming and electronic work, our robot was a real beast at the competition. The 2009 season game was Lunacy. 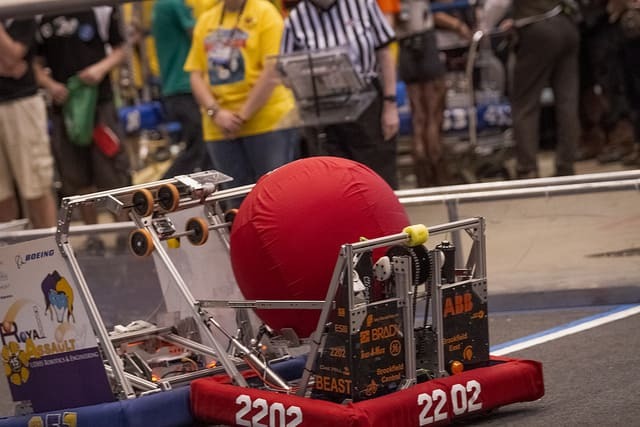 The objective was to launch balls into the trailers of the robots on the opposing team. Also, the playing floor was covered with a low-friction surface, simulating the lack of traction in a lunar-gravity environment. We went through the usual steps of the engineering process: brainstorming, design, prototyping, testing, retesting, etc. Features of the robot included a rotatating turret that would launch the balls, and a covevor to act as a hopper for the balls. One design proposal that worked surprisingly well was a spinning wheel with claw-like protrusions. 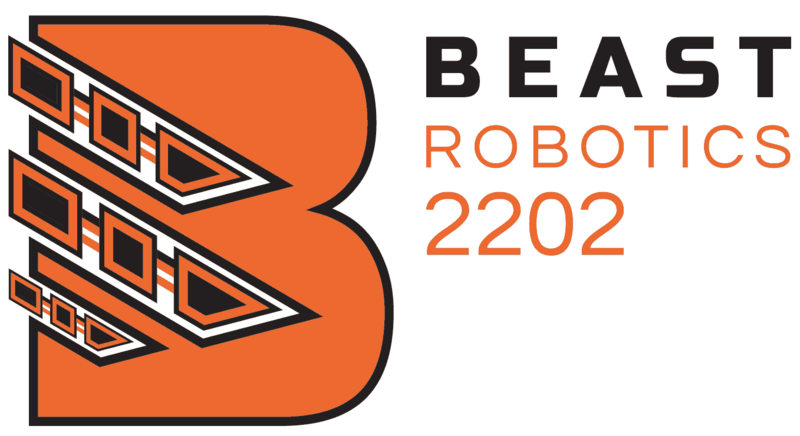 In the qualifying rounds, BEAST Robotics lost every game, but because of the robot’s excellent design, we got a chance to compete in the elimination rounds. The season and the robot demonstrated the values of good design and ingenous ideas. In 2008, an efficient robot was able to be fast, easily handle the ball, and hurdle the bar. The design for this objective combined a scissors jack equipped with a circular hoop to safely hold the ball, a pickup and raising arm to move the ball from the ground onto the hoop, and a piston at the top of the scissors jack to ‘pop’ the ball over the bar.